Pitchers can flourish given the right conditions. If he is supported by a team that can supply above average defense and run support, the numbers may exceed the quality of the arm. The three underrated pitchers that I selected are capable of putting up better numbers than their projected preseason value. Think of the Yankees in recent years, decent starters (Hughes, Nova) putting up big win totals that would not have occurred in other situations. These pitchers should slip and can be had in the later rounds, but may turn out to be solid additions to your staff. Fister is a guy that always seems to pitch better than his record indicates. 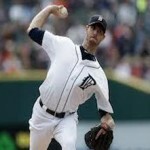 Although he posted a 14 win season last year, Fister could be on the verge of a 16-18 breakout campaign. His BABiP (.332) was very high, but considering his infield defense consisted of two corner slugs (Cabrera, Fielder) and a limited-range SS in Peralta, it’s not a huge surprise. Washington will be a big upgrade defensively and he will fit in nicely as a consistent middle of the rotation arm that always keeps his team in the game. Although Comerica provided a nice pitching venue, his splits of ERA and BAA were similar for home and away. 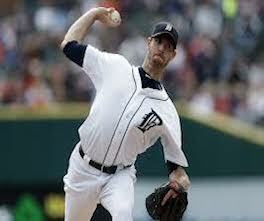 Fister has the ability to mix pitches liberally which allows him to avoid falling into predictable patterns. This will benefit him even more with a move to a new set of teams and divisional opponents. Strikeouts should see a bump up in 2014 with the move to the weaker lineups and pitcher at-bats of the National League. The lanky right-hander is in a great spot moving forward. Tillman is just starting to hit his stride with two solid seasons under his belt. Most people remember him jumping out to an 11-3 record and making an All Star appearance, but his 2nd half performance, despite only producing 5 wins, was even more impressive. Tillman’s post All Star Whip fell to 1.07 and a BAA of .214 were more in line with his breakout season the previous year. Still young and possessing a large frame 6’5”. 210, Tillman is poised to become a workhorse type producer at the top of the O’s rotation. Last year was proof positive, when he threw 206 innings and established himself as one of Baltimore’s top arms. Although overall the ERA and Whip increased from 2012 to 2013, Tillman improved his k/9 rate from 6.9 to 7.8. Tillman’s growth will come from learning Camden Yards, which at times can be a launching pad. He learned that the hard way last season, giving up 24 dingers at home while only 9 on the road. A step in that direction is an increase in groundball% of +5 from 2012. Beachy made his presence known by establishing front line stuff early in his career. Unfortunately, Braves fans have only caught glimpses of his potential. Injuries have robbed the right-hander of his presumed upward ascent in the team’s pecking order. This might be a result of Beachy being converted from reliever in the minors to starter in the majors. When healthy, he has above average abilities as evidence by his career Whip 1.13. As with all Tommy John pitchers, it takes that second year after for the velocity to really jump out their hand. In the small sample that he pitched last year, he had moved away from the slider and used the change up more prominently. That may be a sign that the elbow was not quite ready for the rigors of his full repertoire. If he can put his TJ issues behind him and return to the form that allowed a league-low .177 BAA in 2012, Beachy will be a huge find.